LONDON - O2 has struck an exclusive partnership with Dell for the launch of its iPad rival, Dell Streak. Somewhere in the middle, between Apple's iPad and a smartphone, Dell's Android-based tablet will offer thousands of Android apps when it becomes available in June. 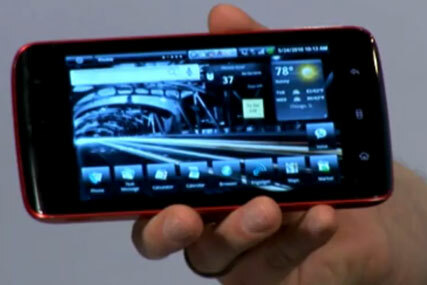 The Streak features a five-megapixel camera, fast processor, built-in Wi-Fi and a five-inch touch screen. O2 will offer value tariffs and customer service with O2 'gurus' on hand in-store to help customers with the new product. O2 will also sell Apple's iPad in-store. Last year, O2's two-year period of exclusivity with Apple iPhone came to end, enabling rival networks to offer the smartphone to their customers. Steve Alder, O2's general manager, devices, said: "The Dell Streak is a bold new class of product, something we wanted to bring to our customers first. This means we can continue to offer our customers a range of the very best devices to make their lives a bit easier." Separately, rival mobile operator Three today revealed it will offer a wi-fi and 3G data plan for the iPad, which is due to go on sale in the UK this Friday 28 May.